LIMA — Manufacturing employment has made a slow but steady comeback since the Great Recession, coming just shy of pre-recession levels in Allen County in 2017 and 2018. But an aging workforce, low unemployment and more efficient technologies are testing how much more growth the region can absorb. Allen County ended 2018 with 600 fewer manufacturing jobs than it started the year with, down from 9,200 in December 2017 to 8,600 in December 2018, according to the Bureau of Labor Statistics. Allen Economic Development Group President David Stratton attributes that loss to a combination of workers retiring, automation and downsizing. “A significant amount of the reduction we think is retirement,” Stratton said. 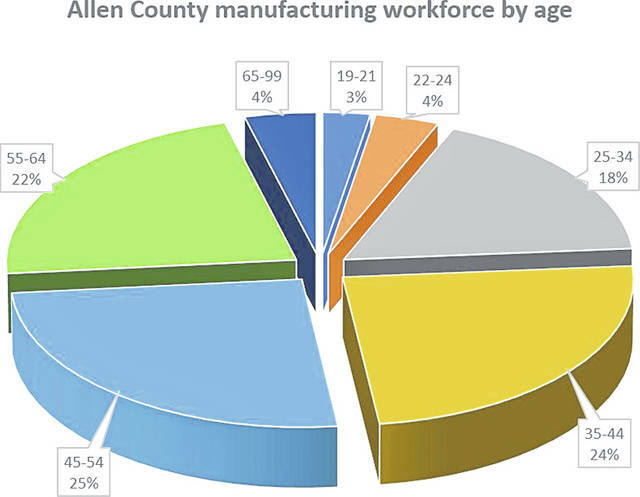 About 26.5 percent of Allen County’s manufacturing workforce is 55 or older, according to U.S. Census data from the first quarter of 2018. As those workers retire, Stratton said many companies are choosing not to replace them, relying on automation to help keep the plant productive while exploring future expansion opportunities. “If your business is prospering, you’re getting more orders, you need to make more product, and you can’t find more workers to make that product … then that is a growth challenge, no doubt about it,” said Gregory Myers, executive director of the Wapakoneta Economic Development Council. 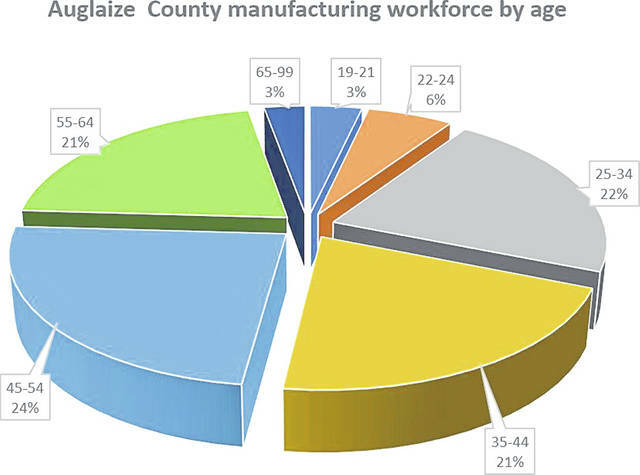 Auglaize County has faced similar workforce challenges. 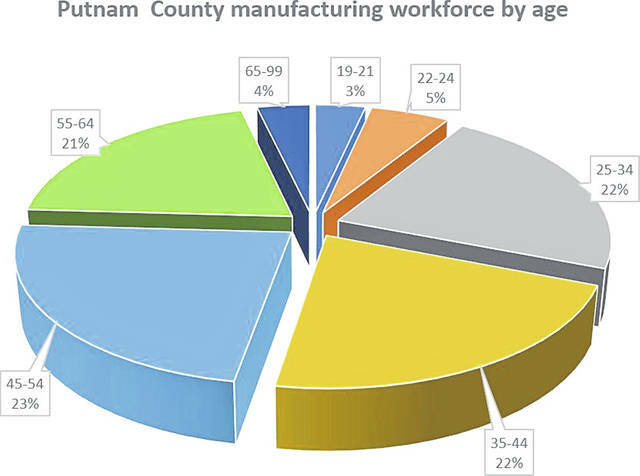 Twenty-four percent of the county’s manufacturing workforce was 55 or older at the start of 2018, according to the U.S. Census. 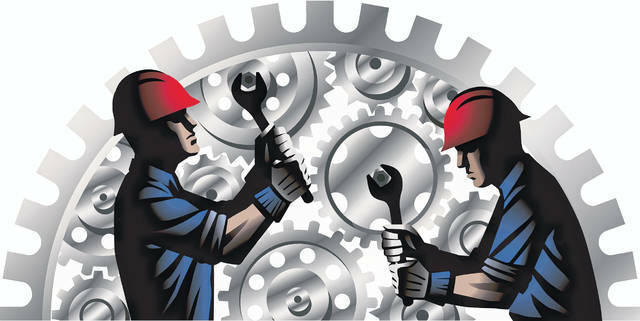 And the county’s unemployment rate was 3.6 percent in December. The Wapakoneta Economic Development Council now markets open positions in Auglaize County to workers in other counties and states where major plant closures have occurred, one of several initiatives under way to attract new talent. “We hope that aggressively portraying those opportunities will put us in a good position when those retirements occur,” Myers said. Similarly, Stratton hopes Allen County will experience an increase in its population, which he believes would allow manufacturing employment to continue growing. But he still expects to see more firms create new jobs this year. The Joint Systems Manufacturing Center, for example, announced plans late last year to hire 400 new workers. 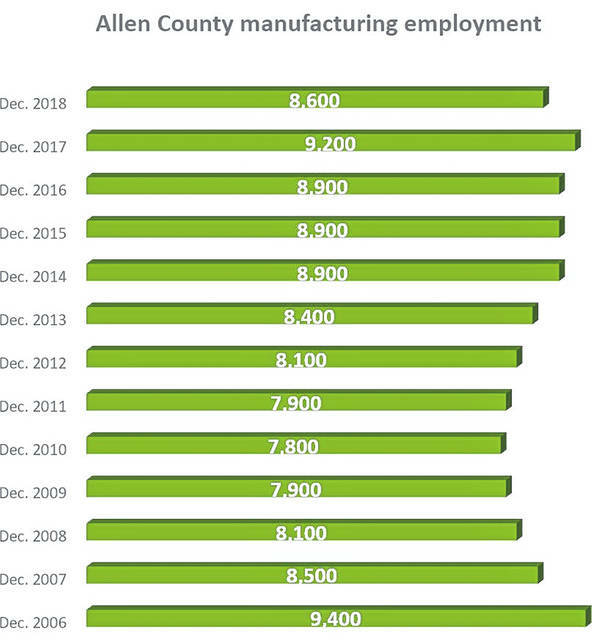 Allen County came close to reaching pre-recession levels of manufacturing employment in the late half of 2017 and first half of 2018. Manufacturing employment surpassed 9,000 jobs for the first time since 2007 in June 2017, a trend which held steady through June 2018, according to BLS data. But those numbers fell from 9,200 jobs last June to 8,300 in July, jumping back to 8,900 August. “Some of that is due just to that they’re preparing for the future, and they did downsize but from what we’re hearing is they’re going to ramp up,” Stratton said.